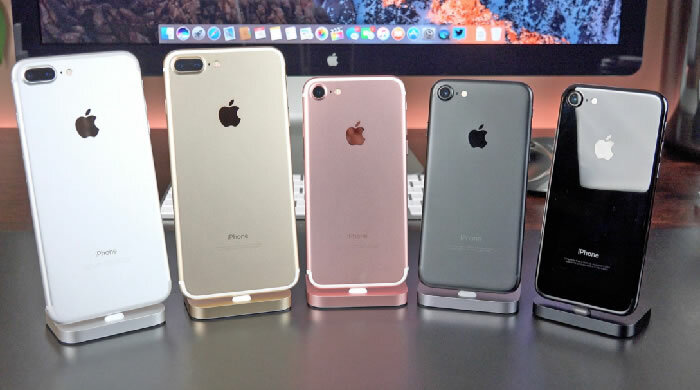 iPhone 8, iPhone 7s Or iPhone Pro? What will the next iPhone be called? While ‘iPhone 8’ rumors keep on emerging, Apple has kept mum about the upcoming iPhone. The naming conundrum starting started simply because 2017 is the year when Apple releases its tenth iPhone. A tenth anniversary phone is expected to be special, which is where confusion over the iPhone 8 story seems to have originated. This rumor has picked up pace in recent times. Apple is rumored to launch three phones – an iPhone 7S and 7S Plus which will bear similarity to the iPhone 7, and an iPhone 8, which would be the game changer with features such as OLED display, fast charging, desktop sharing and dual-cameras. Could this be the case? Well, Apple has launched more than two devices at a go. 2016 saw the launch of the iPhone 7, the iPhone 7 Plus and the iPhone SE. Apple could very well do so this year. The only reason for Apple to launch an iPhone 8 then comes down to the device’s competitors in 2017. The device will have to endure a hard fight for a market share with the Samsung Galaxy S8, which is rumored to have features such as a pressure sensitive edge-to-edge display. With the Google Pixel launching in October 2016, the competition has become tough for Apple’s iPhone, with even some reports of declining iPhone 7 sales surfacing.